High performance. 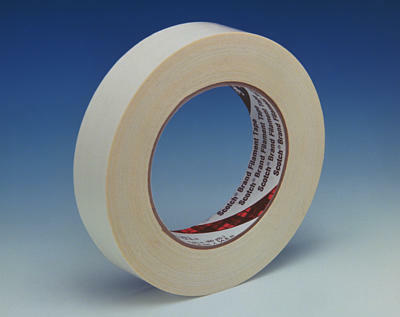 White polypropylene backing for printing, reinforced with continuous glass filaments. Nick resistant. 240 lb/inch width tensile strength with good initial adhesion and high shear strength. Low stretch for handling ease.